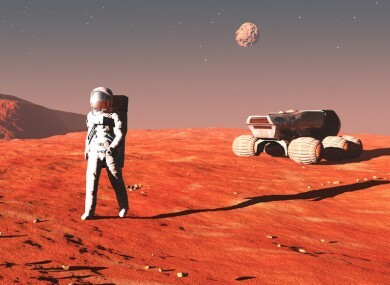 THE MARS ONE mission to our neighbouring planet (only 140 million miles away) which has been in gestation for some time is ‘hopelessly flawed’, according to the Irishman who was selected as one of the top 100 candidates who applied to man the spacecraft. Astrophysicist at Trinity College Joseph Roche has spoken out at the inadequacies of the project. In an interview with the website Medium, Roche speaks about his frustration with the project, not least the uncritical ride it has been given by the press. “All the info they have collected on me is a crap video I made, an application form that I filled out with mostly one-word answers … and then a 10-minute Skype interview,” Roche said. That is just not enough info to make a judgement on someone about anything. I have not met anyone from Mars One in person. Given NASA expects candidates for space missions to have a minimum of 1,000 aircraft flight hours before they’ll be considered for their training programme, the difference in expertise required is stark. Roche also claims that only 2,761 people have applied for the mission (which would almost certainly mean eventually dying on the planet) as opposed to the 200,000 Mars One claim have applied. Further, he claims that the ranking of those candidates is determined purely by the amount of funding those candidates have raised for the mission. My nightmare about it is that people continue to support it and give it money and attention, and it then gets to the point where it inevitably falls on its face. If I was somehow linked to something that could do damage to the public perception of science, that is my nightmare scenario. Roche says he initially applied for the venture mostly ‘out of curiosity’ with the hope of bringing ‘public attention to space science’. Mars One is backed by Dutch entrepreneur Bas Lansdorp, who apparently wants to prepare an infrastructure on the planet for its colonisation by humans. has no TV partner (the mission was supposed to work in conjunction with a reality television show). All of which seems to indicate a mission to Mars isn’t likely to happen any time soon. Email “The Mission to Mars is a complete sham...”. Feedback on “The Mission to Mars is a complete sham...”.